You Are Here: Home » News » Ansaldo Energia in €600 Million Oman win! Ansaldo Energia in €600 Million Oman win! 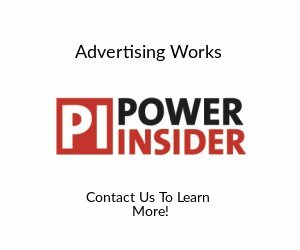 Ansaldo Energia Switzerland has been awarded two contracts worth approximately 600 million Euros in total for the supply of major power plant equipment to two large IPP projects. The Ibri 1510 MW CCPP and Sohar III 1710 MW CCPP in the Sultanate of Oman are expected to be commissioned in early 2019. The Ibri and Sohar III CCPP IPP projects are developed by the sponsor consortium of Mitsui & Co. Ltd., ACWA – International Company for Water and Power Projects and DIDIC – Dhofar International Development and Investment Holding Company, following a simultaneous award of the two projects to the development consortium by Oman Power and Water Procurement Company SAOC of Oman earlier this month. The two power stations will operate and supply power under a PPA to the grid in the Sultanate of Oman. Ansaldo Energia will supply the main power train equipment components, including for each power plant, four of Ansaldo Energia’s newly acquired high-efficiency advanced GT26 class gas turbines, four heat recovery steam generators (HRSGs), two steam turbines and six turbo generators to SEPCOIII Electric Power Construction Cooperation of China (SEPCOIII), who will be responsible for engineering, procurement and construction (EPC) on a turnkey basis. Ansaldo Energia will also provide field services to SEPCOIII – under separate contracts – during the construction phase and long term maintenance services to the operator after commissioning. These projects mark Ansaldo Energia’s first success with its recently acquired and formerly Alstom owned GT26 gas turbine technology and will be one of the largest CCPP project awards in the Gulf region. 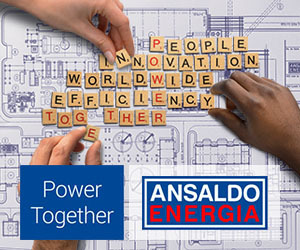 Ansaldo Energia will certainly have a firm place the CCPP and IPP market where highly efficient, operationally flexible and reliable technology is required. With these two projects in execution in the region and Ansaldo Energia’s presence as a service provider in the Middle East area through Ansaldo Thomassen Gulf in Abu Dhabi, Ansaldo Energia’s position in the Gulf will be further strengthened. Juerg Schmidli, Ansaldo Energia Switzerland President, commented: “With its operating flexibility and high efficiency, the GT26 gas turbine will play a critical role in generating maximum project returns for our customer. This is the perfect start for our newly formed Company Ansaldo Energia Switzerland”.